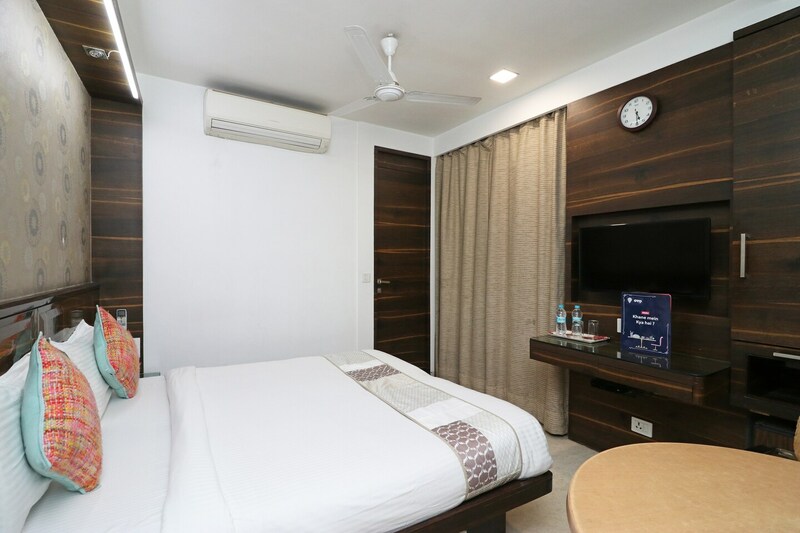 OYO 9536 Bee For Home Stay is located strategically in Delhi to offer you the best services and comfort at affordable rates. The OYO is maintained with a skilled and friendly staff to ensure you have a good stay. AC, Mini Fridge, TV and more are equipped in our property. Explore Delhi and visit the famous landmarks and attractions such as Dilli Haat, National Rail Museum and Nehru Park among others. HDFC Bank, State Bank Of Bikaner & Jaipur and Bank of Baroda close to the hotel ensures you are never short on cash.